I have a perfume that I love, that is very inexpensive & very light. It’s a Thymes Cologne. I stack this spray with a body wash and body cream in the same scent. This is great for travel since I don’t want to ruin nice expensive perfumes- in fact, last year a bottle of Creed broke inside my suitcase. I’ve barely recovered! So carrying cheaper perfume is definitely the way to fly. 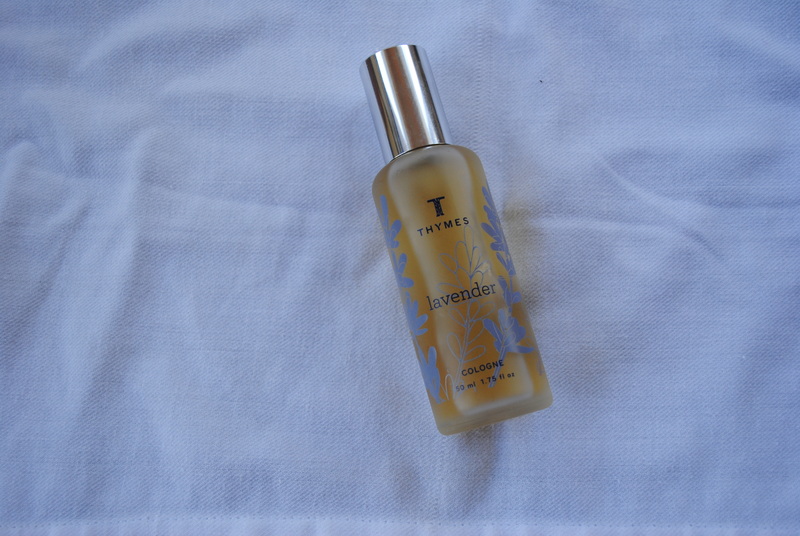 This lavender perfume is clean & fresh, and I use it for a room spray, too. What are your favorite perfumes to travel with? Do you love unique scents like lavender, too? 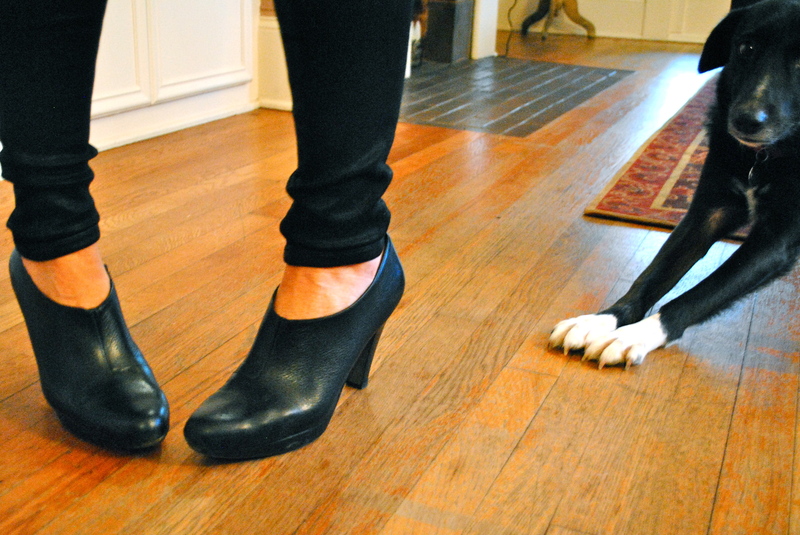 Go-To Black Winter Shoe Boots! I first bought these way back in 2006, on a December afternoon in the beloved Nordstrom’s shoe department. In shoe years, seven years is a long time! They are a great basic. Not only are they comfortable, but they look great with jeans or tights and skirts. I mostly wear them when I travel, since they are easy to slip on and off. 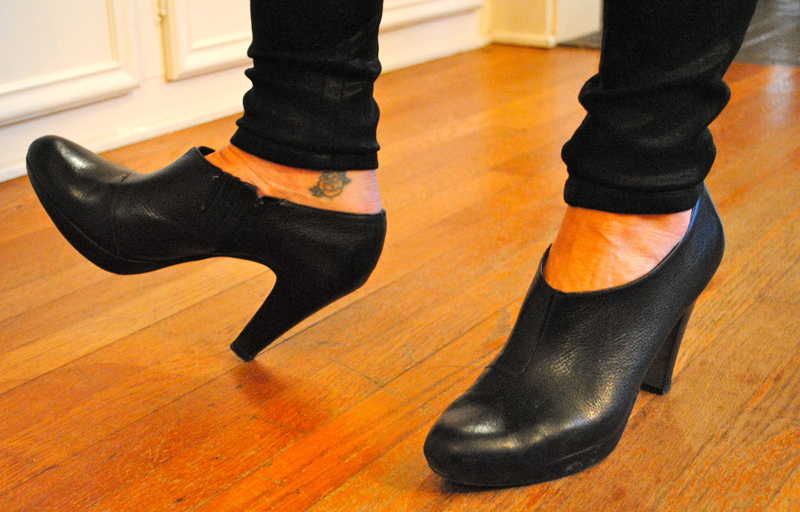 They have a stacked heel, but the platform in front makes them wearable on long days. Plus, since they’re leather, they are much easier to care for than suede (although I love suede). I get them professionally cleaned every few years, to keep the leather nice, and I’m about to have them resoled for the second time. Shoe care, ladies! It’s more essential than you think. As I said, they were a Nordstrom’s find. I love Nordstrom’s for shoes and highly recommend you go there for your stylish winter boot needs. I like their selection, service, and price range. You can find shoes that are really affordable, and ones that are seriously high end. But I must say, if you’re looking for really fancy, top tier brand shoes, head over to Neiman Marcus or Sak’s instead (better selection). I love my little Go To Black Winter Shoe Boots. What are your favorite pair to pull out once the weather gets cold? Luckily I live in Austin, so my winter boots are these cute ones, instead of real snow boots! I have an iPad mini, and I absolutely LOVE IT! I needed something to take with me when I travel. 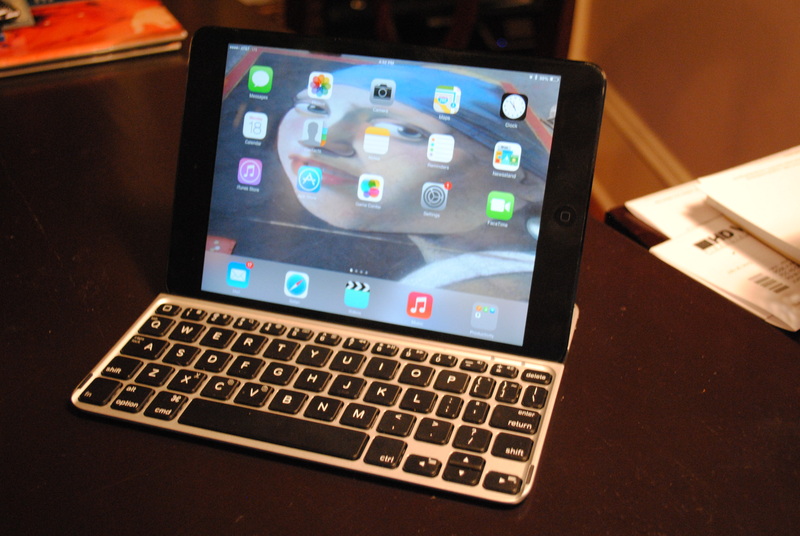 I have a PC laptop, and the iPad mini is the perfect complement to that. This is SO perfect for traveling! I write, stay connected, and don’t miss anything with this device. I use the iPad in my car to send quick emails, and since it uses both cellular and wifi, it works everywhere. Honestly, I bought the mini because it fits in my purse! I crank out tons of work on this baby, and it is so much better for my aging eyes! I don’t want to be squinting all day long, trying to reply on an iPhone, and you shouldn’t either! I can even text message other iPhone users from it. Plus, I watch Netflix on here at night! The iPad mini is so cute, it’s aesthetically pleasing, and the interface is so easy to use. I highly recommend the Logitech Keyboard I bought with it for under $100- plus it doubles as a stand. Check the stand and the mini out here. As a woman who travels a lot, I love my iPad mini for business and entertainment. You don’t even need to take it out of your bag in the airport, unlike a laptop! I always have it with me, just in case. What are your most essential business tools? I’m debating switching over to Google Drive, as well. Have a good Thanksgiving week!